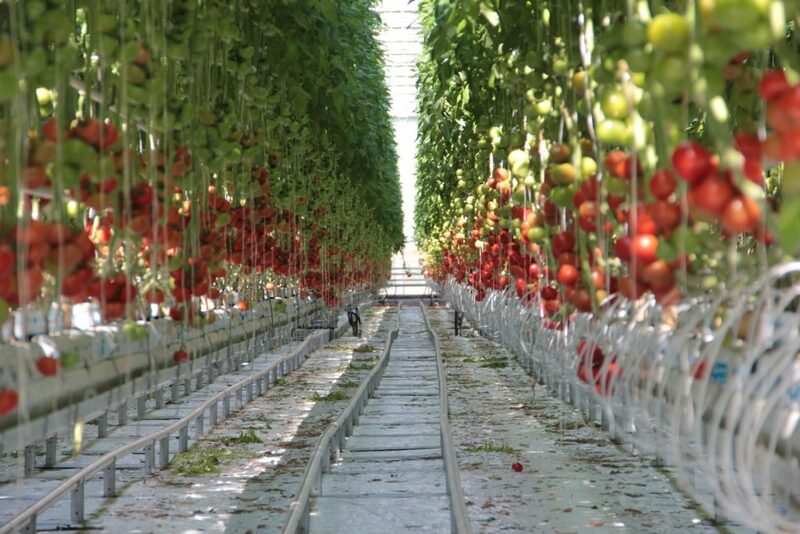 Irrigation management of tomato – Part 3. - Gremon Systems Zrt. The data below are to be used in case of standard tomato cultures with suitable technological background, in compliance with the required technological discipline. Stability in water capacity and fast reaction in the 24-hour average temperature. Our aim is to keep the suitable balance until the first harvests. This has a major influence on the success of the summertime yield. The load on the plants is continuously increasing until the first harvest, but the irrigation, and thus the photoassimilation is varying, strongly, depending on the weather. Growth has to be constant and uniform until the plant load is increasing. We might have to change the 24-hour temperature each day in accordance with the available photoassimilates. This can be done by changing the afternoon and night-time temperatures depending on the radiation sum. It is especially important that we should not keep high temperature in the afternoon when it is cloudy, as doing so wastes away a considerable amount of energy from the plants. Incidental lower average temperatures mean less total heat for the first and second clusters, so they will ripe slower. The priority is to maintain an equal plant thickness, a strong, generative picture of the plant. Following the rooting, we just need to make sure to keep stability in the parameters of the slab. My opinion is that in this period irrigation should follow transpiration as much as possible. Frequent laboratory tests are suggested until the first harvests, until we reach a stable plant load. We need to keep in mind that the start of ripening may cause fast changes in the PH. In the screen shot we can see an example for the realization of following the transpiration, as mentioned in Task rootzone. We can clearly see that the right irrigation strategy follows the afternoon decrease in transpiration. By this, we can avoide over-irrigation in the afternoon, which would lead to energy-wasting processes.